We say that everything in this world has a price. Well, I may agree to that but the most cherished possessions are not being sold over the counter or online markets. It's not about the money. It's about value. Material things are temporary in nature. One of the wealthiest man in the planet just died. 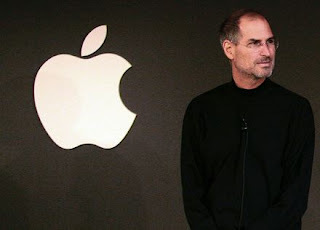 An astounding human being, a futurist and a creative genius in the person of STEVE JOBS, has finally reached the end of his journey after almost six decades of existence. He has left a remarkable legacy that will forever be integrated with our lives. His innovative products are valued according to their quality and specifications while his life is much more than an Apple logo.